A pensioner has been reunited with his life savings after taxi driver realised he had been scammed. Barry Stone got a phone call by someone saying they were from Scotland Yard investigating bank fraud. They told him to withdraw £12,000 – £8,000 in £50 notes and £4,128 worth of euros – and hand it over to taxi driver Izy Rashid who would take it to London. Izy Rashid, who works at Neales Taxis in Corporation Street, said alarm bells started ringing when one of the firm’s drivers was handed a package by an elderly man in Marlow to be dropped off to an address in London. He asked the driver to return to the office where they opened the package and discovered the money. Mr Rashid took the driver and package back to the gentleman, Howard Stokes’ house, where they heard about the phone call. 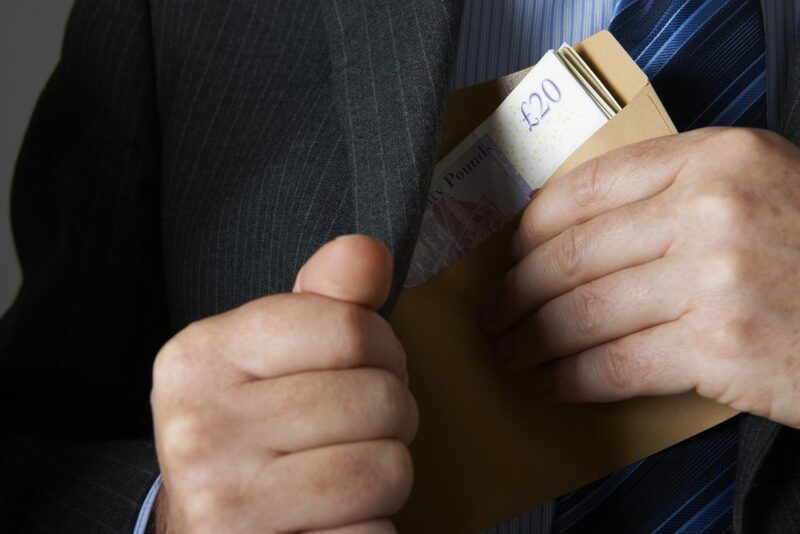 They told Mr Stokes that they had detected fraudulent activity on his bank account and asked him to take out all the money in his account to send over to them. Mr Stone said: “I didn’t sleep afterwards and I couldn’t eat at all, it was such a lot of money. I feel so relieved now, I can have something to eat now, no problem. I’m very, very relieved. Speaking about the scammers he added: “You just believe them sometimes, don’t you? You think you’re helping people out. ‘They say they want the money because it’s got fingerprints on it and it’s somebody at the bank, they might be able to catch them and you believe them. However, never again. Speaking about Mr Rashid he said: “He’s a wonderful man and friend now, a very, very good friend. “I’ll start using his taxis now. I’m going away in a few weeks time and flying from Heathrow so I’ll make sure I use him then. “I’m really angry that people can do something like that though, rob you and take your money – targeting old people as well. Mr Rashid said: “We got a phone call from somebody in London by the name of Gary to pick someone up in Marlow. “We thought it was a bit suspicious because when we got there he (Mr Stone) just gave us a box. My colleague brought it back to the office but then I took it back to the gentleman. “At first he said “No, it’s aftershave for my son” because that’s what the scammers had told him to say. We later realised they had rung him, claiming to be from the Met Police. He added: “I don’t think I’m a hero. It’s just immoral to take somebody’s money, especially someone so old and fragile.